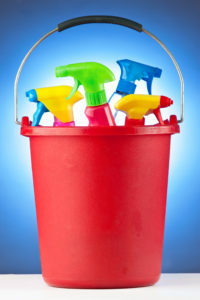 HomeBlogJanitorial Surety BondsDo I need a Janitorial or Cleaning Surety Bond for my Business? It is no secret that the service sector in the United States is growing. This includes such industries as cleaning and janitorial businesses. Although surety bonds are not a requirement, having a surety bond can benefit your business. It communicates to customers that you are reputable and trustworthy, because a surety bond guarantees that you will uphold your end of the contract. This gives customers added confidence in your services. Are cleaning and janitorial service surety bonds the same? YES! Although the wording may be different, the surety bond is still the same. No, BUT it is valuable to have to give your clients confidence that they will are in good hands. Although your business is built on trust, there are instances when this trust may be broken outside of your control. For example, you cannot guarantee that your employees will always carry out this same business virtue. Thus, having a surety bond gives that extra bit of confidence to your client. Great! So how much does a surety bond cost? Now that we’ve shown you the necessity and benefits of a surety bond, contact us today and we’ll get you started!